Each bulker will be powered by a single MAN B&W 6S46ME-B8.5 low-speed engine delivering 9,900kW at 84rpm, and aspirated by an MAN TCA66 turbocharger. The engines will accordingly meet IMO Tier III emission standards. 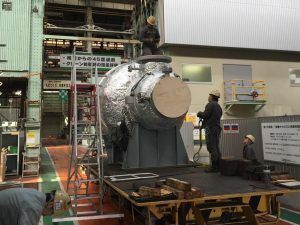 Delivery dates for the three SCR-HP packages are set respectively for December 2019, and March and May 2020.